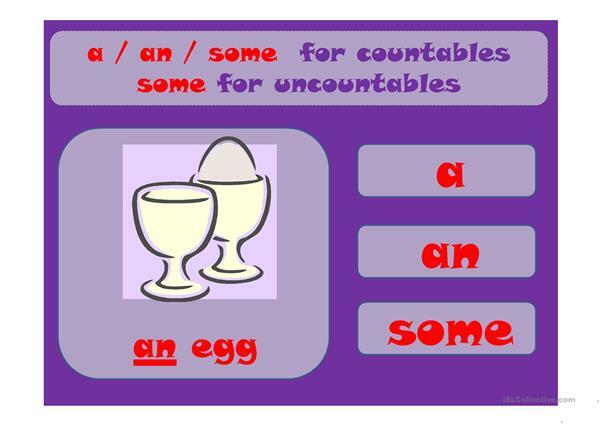 Simple exercise to revise a, an or some for countables and uncountables. 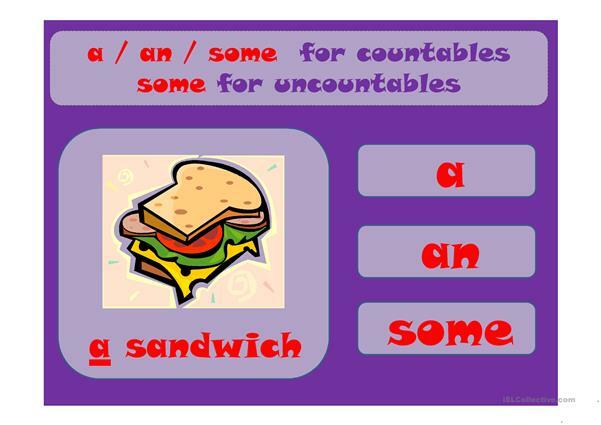 The present downloadable handout is best suited for high school students and adults at Elementary (A1) level. 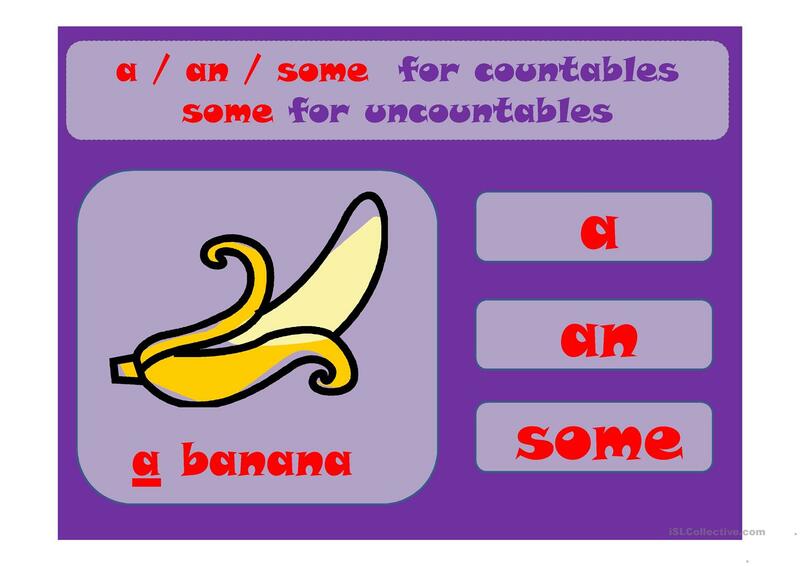 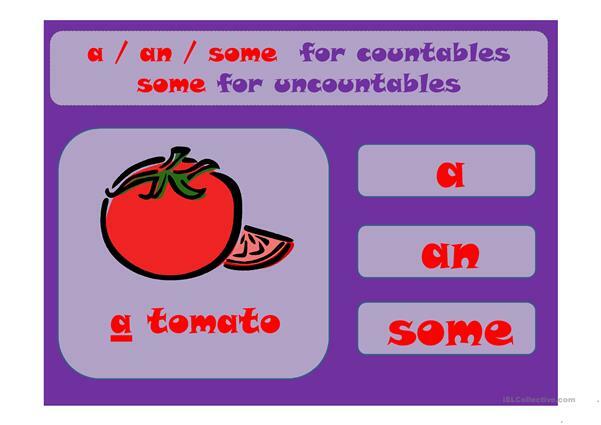 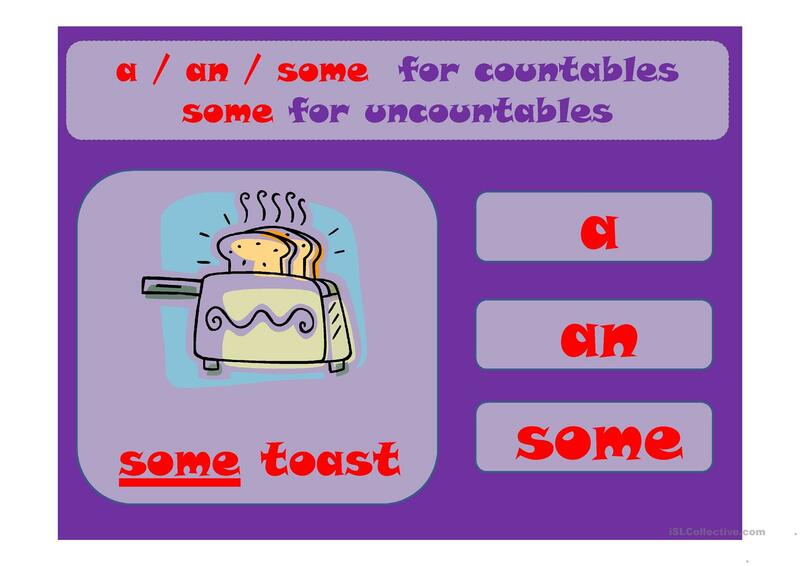 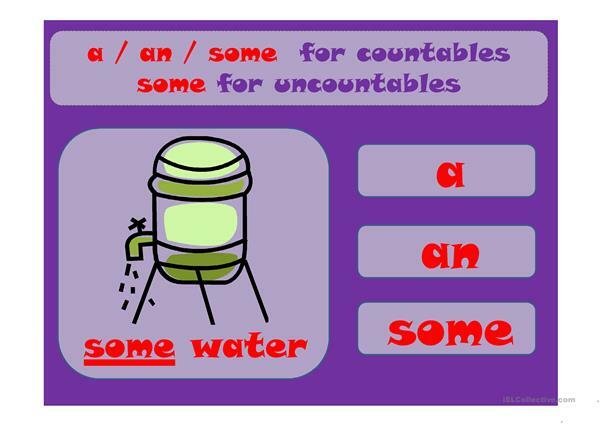 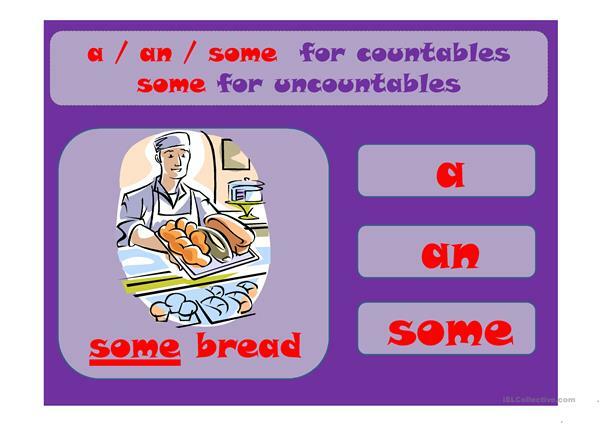 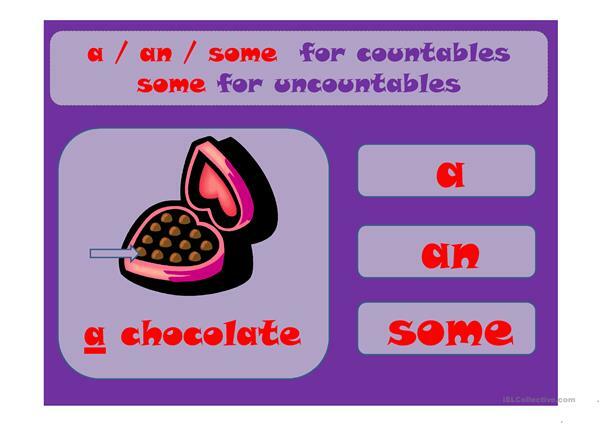 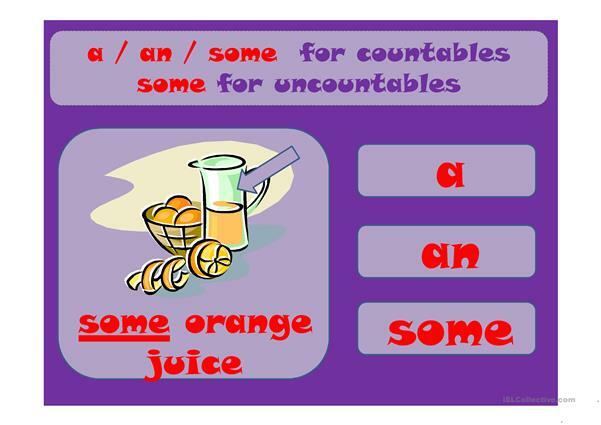 It is great for consolidating Countable and uncountable nouns in English.